#Resist restrictions on civil liberties. #Reclaim an America that supports the rights of Muslim, Black, Brown, queer, trans, immigrant women. Photo courtesy of Molly Adams. On the topics of environmental justice + Indigenous land rights we funded an Indigenous Women's Divestment Delegation from North Dakota to meet with financial institutions in Norway and Switzerland, and to initiate new talks with German banks on divestment from the KeystoneXL and DAPL pipelines. On the topics of racial justice + police brutality + gun violence we supported a black women's student union as they worked to respond to an incident of police brutality against an unarmed black female student on their campus. On the topics of sexual orientation + gender identity rights we covered travel costs to enable intersex youth advocates to take an opportunity to testify in favor of a bill in the Nevada Senate that would protect the human rights of intersex children. On the topic of immigration reform we enabled a Thai-American community organization in Southern California to provide security training for its staff and install security cameras after the groups received a barrage of threats of violence from anti-immigrant groups. On the topic of mass incarceration we supported work centering the experiences of undocumented and incarcerated transgender people in Southern California and advocates reforming the money bail system of detention centers, prisons, and jails. On the topic of reproductive rights + women's bodily autonomy we supported collaboration amongst civic groups and the Women's National Law Center to educate congress members on the barriers women of color experience that prevent them from receiving adequate healthcare and how those experiences would be further entrenched with the appointment of Brett Kavanaugh. And the work of many others whose names have been withheld for safety. Over 96% of our US grants directly support women or transgender people of color-led activism. Our lens has always been that feminist and women's rights activism can not be separated from the struggle for racial justice and the effort to dismantle systems that privilege white people in the United States. 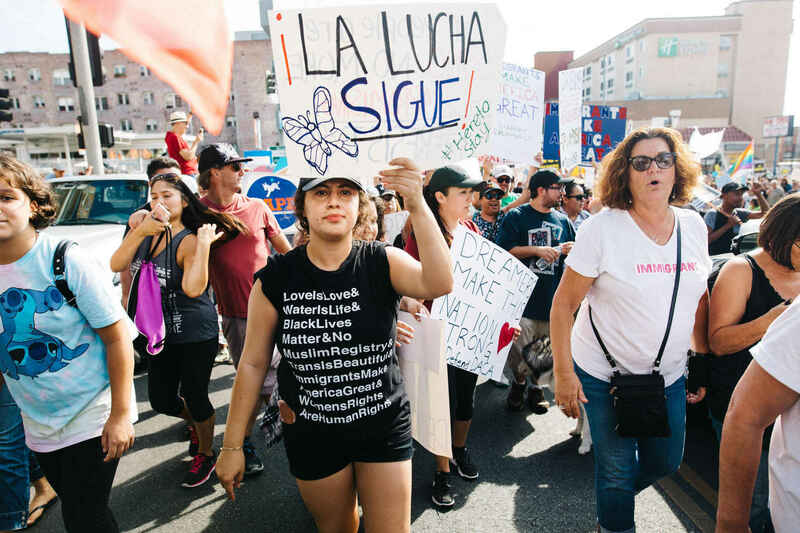 support activists working on human rights concerns at the intersection of gender justice and immigrant rights, environmental justice, racial justice, and other movements. Security requests from US-based activists have increased by over 300% since 2016. We have to keep disbursing resources to resist, reclaim, and support human rights for all communities at an even more rapid pace than previously expected. With your help we have raised $225,000. We have less than $25,000 left to raise from individuals to meet our $250,000 goal. As a leading rapid responder for human rights crises worldwide, join us. [Watch video]: In July 2018 Urgent Action Fund brought together 10-15 queer, trans, and gender non-conforming movement leaders from across the United States to discuss the healing needed in the state of the union. Hear their thoughts on how to support movements for LGBTQ justice, gender justice, and racial justice in the context of increasing burnout and political restrictions.